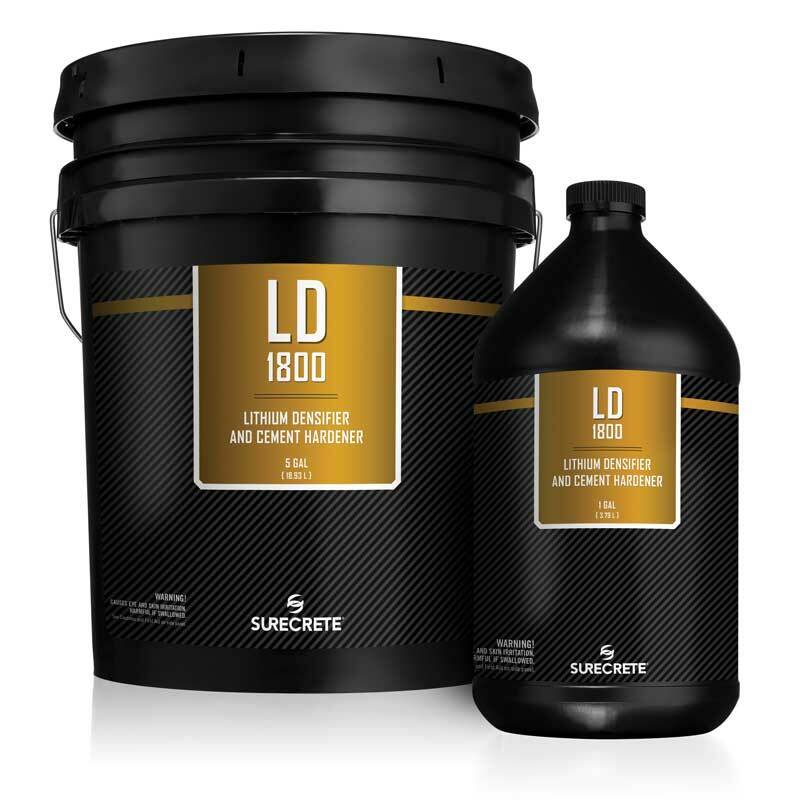 1 Gallon and 5 Gallons SureCrete’s LD1800™ concrete lithium densifier a liquid concrete hardener provides a clean, safe, economical “stand-alone” finished concrete floor. To harden concrete, this penetrating treatment reacts chemically with the free lime in concrete to produce calcium silicate hydrate within the concrete pores, making the concrete stronger and more durable. LD-1800 is a chemical concrete hardener.